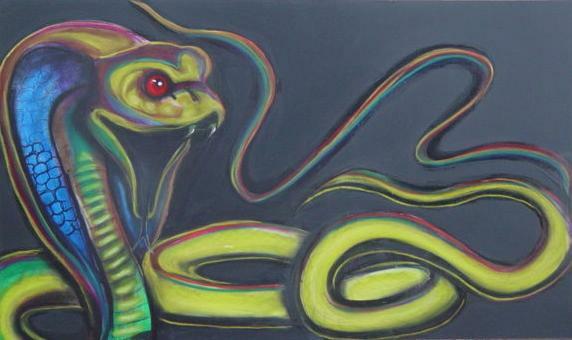 Uraeus The Cobra is an emblem of Lower Egypt. It is associated with the king, and kingdom of Lower Egypt. It is also associated with the sun and with many deities. The cobra represented the 'fiery eye of Re', in which two uraei can be seen on either side of a winged solar disk. Starting in Middle Kingdom, the uraeus appears as a symbol worn on the crown or headdress of royalty. It is used as a protective symbol, as the Egyptians believed that the cobra would spit fire at any approaching enemies.